Packed with 22g of protein per serving, this superior-quality blend delivers the protein you need. Sourced from the same cows that produce your milk and cheese, it’s simply filtered and spray-dried to produce all-natural nutritionals. 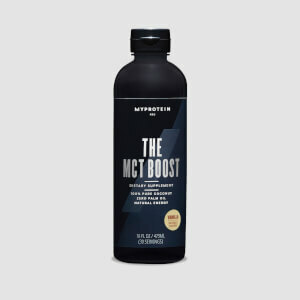 Certified as one of the best protein supplements for quality and value by Labdoor, the independent supplement testing company — our Impact Whey Isolate has been through rigorous quality and purity testing, and is officially one of the best protein powders out there. As this blend is fast absorbing, we recommend having it 30-60 minutes’ post-workout — add 1 large scoop (25g) to water or milk, whichever you prefer. It’s a great way to boost your protein intake any time of the day though, and you can enjoy a huge range of flavors, from Rocky Road to Matcha. Whey Protein Isolate (Emulsifier:Soy/Sunflower Lecithin)*, Natural and Artificial Flavoring, Maltodextrin, Gun Arabic, Sucralose, Acesulfame K, Tumeric. Whey Protein Isolate (Whey Protein Isolate, Sunflower Lecithin), Natural & Artificial Flavor, Cocoa processed with Alkali, Modified Food Starch, Sucralose, Acesulfame K, Salt. Whey Protein Isolate (Emulsifier:Soy/Sunflower Lecithin)*, Natural & Artificial Flavor, Cocoa Powder, Sucralose,Gum Arabic, Acesulfame K.
Whey Protein Isolate (Emulsifier:Soy/Sunflower Lecithin)*, Cocoa processed with Alkali, Natural and Artificial Flavoring (Natural and Artificial Flavor, Gum Arabic), Cellulose Gum, Sucralose, Acesulfame K, Salt. Whey Protein Isolate (Emulsifier:Soy/Sunflower Lecithin)*, Natural and Artificial Flavoring (Natural and Artificial Flavoring, Sweetener (Sucralose, Acesulfame K), Color (Caramel)). Whey Protein Isolate (Emulsifier:Soy/Sunflower Lecithin)*, Natural and Artificial Flavoring (Natural and Artificial Flavoring, Sweeteners (Sucralose, Acesulfame K)). 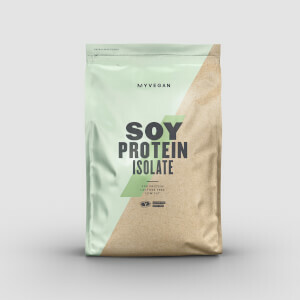 Whey Protein Isolate (Whey Protein Isolate, Emulsifier:Sunflower Lecithin),Natural & Artificial Flavoring (Natural & Artificial Flavor, Modified Food Starch), Matcha Green Tea, Sucralose. Whey Protein Isolate (Emulsifier:Soy/Sunflower Lecithin)*,Natural & Artificial Flavoring (Natural and Artificial Flavor, Modified Food Starch), Sucralose, Acesulfame K, Salt. Whey Protein Isolate (Emulsifier:Soy/Sunflower Lecithin)*, Natural and Artificial Flavoring (Natural and Artificial Flavoring, Color (Curcumin), Sweeteners (Sucralose, Acesulfame K). 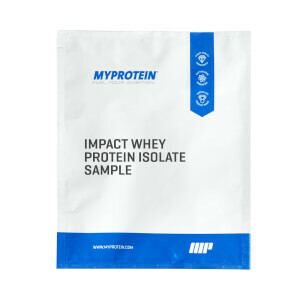 Whey Protein Isolate (Emulsifier:Soy/Sunflower Lecithin)*, Natural and Artificial Flavoring (Natural and Artificial Flavoring, Sweetener (Sucralose, Acesulfame K). Whey Protein Isolate (Emulsifier:Soy/Sunflower Lecithin)*, Natural and Artifical Flavoring (Natural and Artificial Flavoring, Cocoa Powder, Sweetener (Sucralose, Acesulfame K). Whey Protein Isolate (Emulsifier:Soy/Sunflower Lecithin)*, Natural and Artificial Flavoring (Natural and Artificial Flavoring, Color (Caramel) Sweetener (Sucralose, Acesulfame K), Salt. Whey Protein Isolate (Emulsifier:Soy/Sunflower Lecithin)*, Natural & Artificial Flavoring (Natural & Artificial Flavor, Gum Arabic, Color (Vegetable Juice), Sucralose, Acesulfame K.
*We are in the process of transitioning all soy lecithin to sunflower lecithin. The package’s ingredient statement will reflect the products composition. Thank you for your patience. Mixability is perfect. I dont even need a blender bottle. Taste is good. Add a bit more powder than the serving size if you want a stronger taste. If you know the Kopiko candy, this tastes exactly like that. I have been through a couple of bags now of the unflavored whey isolate. It is hands down the best I have found after trying several other brands. I have not tried any of the flavored kind, because I hate the taste of sucralose, so I cant speak to any of those. But the unflavored is the smoothest, most mixable, cleanest tasting whey I've tried. I have mixed it into almond milk, oat milk, regular milk, and add fruit or chocolate milk powder for flavor. The taste of whey is there, but barely noticeable. Cant really beat the price either, with the frequent discounts. The protein tasted horrible (cookies and cream). It clumps when you mix in a glass with water or milk. Didn’t feel it did anything. Going back to OP and Syntha six. Way better and taste so good. This is a waste of money! Don’t buy it.